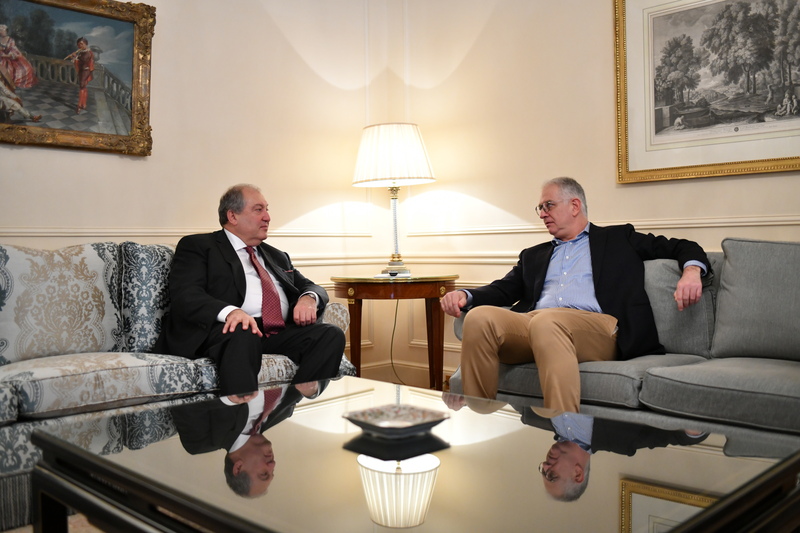 In the framework of his working visit, President Sarkissian met in Paris with the Executive Director of the Nestlé Waters company Maurizio Patarnello. 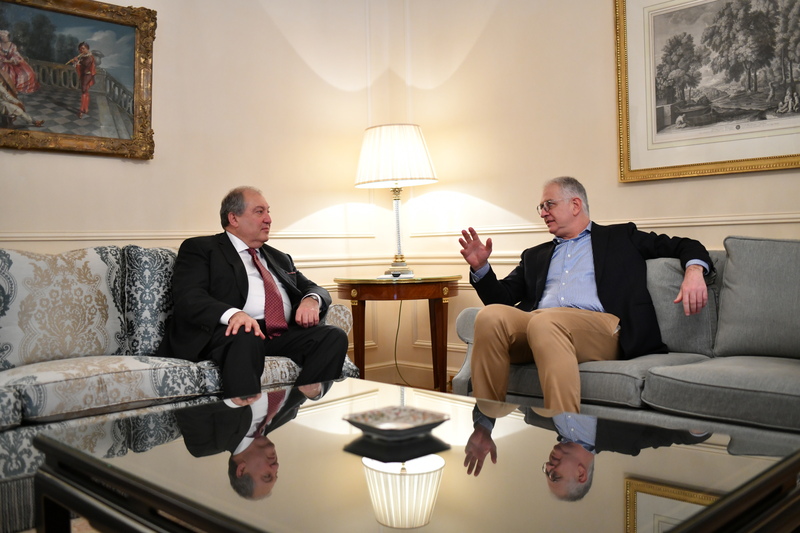 Noting that Armenia is rich with natural resources and drinking water in our country is among the best in the world, the interlocutors spoke about possible cooperation in this area. They concurred that there are serious perspectives for cooperation and agreed that the Executive Director of the Nestlé Waters company would visit Armenia shortly to continue the dialogue and to bring the discussions to a more practical level. At the meeting, discussed were also issues of the efficient management of the water resources. Nestlé Waters is part Nestlé Group company, which is one of the world’s leading companies in the production of bottled water. Nestlé Waters also carries out research and educational programs to show water’s importance in the human life and healthcare.